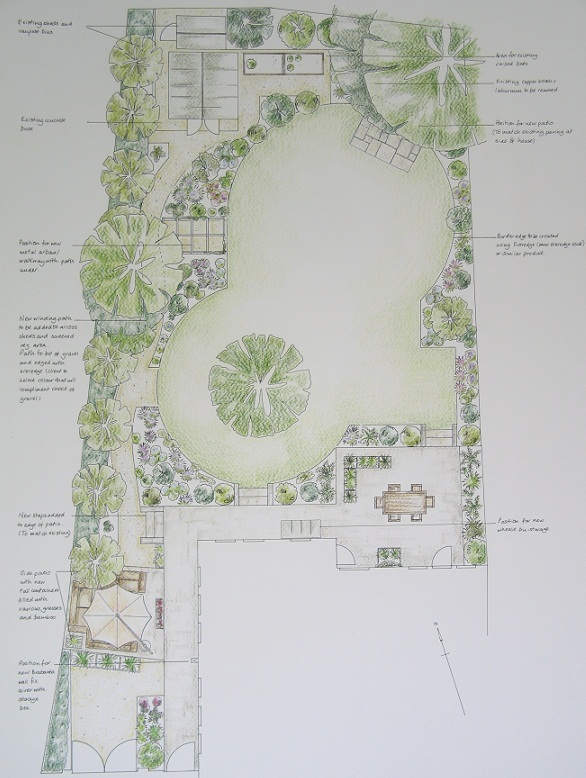 Below there are a selection of four garden design plans. Click on any of the images below to get a larger version. 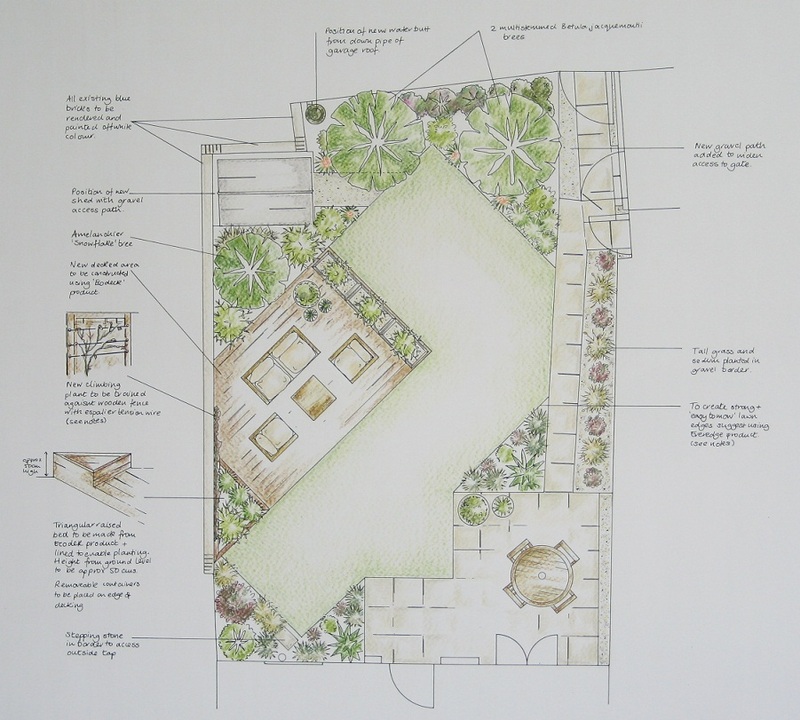 This plan shows a large back garden re-design. The existing garden was completely re-shaped with a new winding path and additional patio for afternoon sun. The new borders were re-planted and a feature rose arbour added. Wymondley Road, Hitchin, back garden design. Crow Furlong, Hitchin, Hertfordshire, back garden design. This garden design reflected the needs of it’s owners with a strong contemporary feel and a large decked area for entertaining. The planting used architectural plants such as grasses and bamboo. 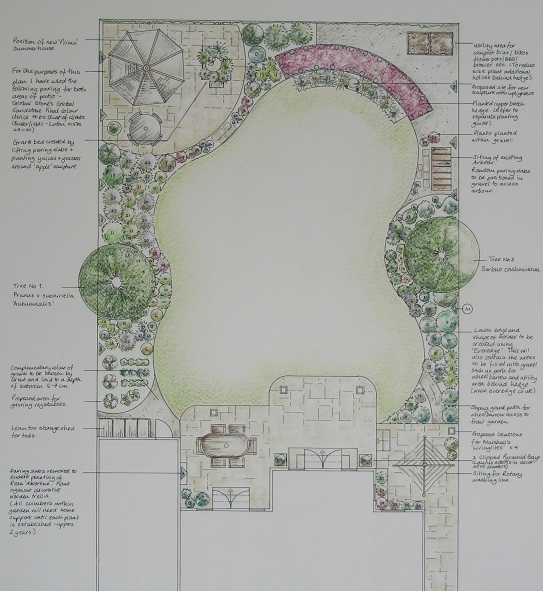 Fairfield Park, Stotfold, Hertfordshire, back garden design. A large front garden design with a gravel drive in a rural setting. The plants used in this design compliment the location of this new build barn and have all year round interest. 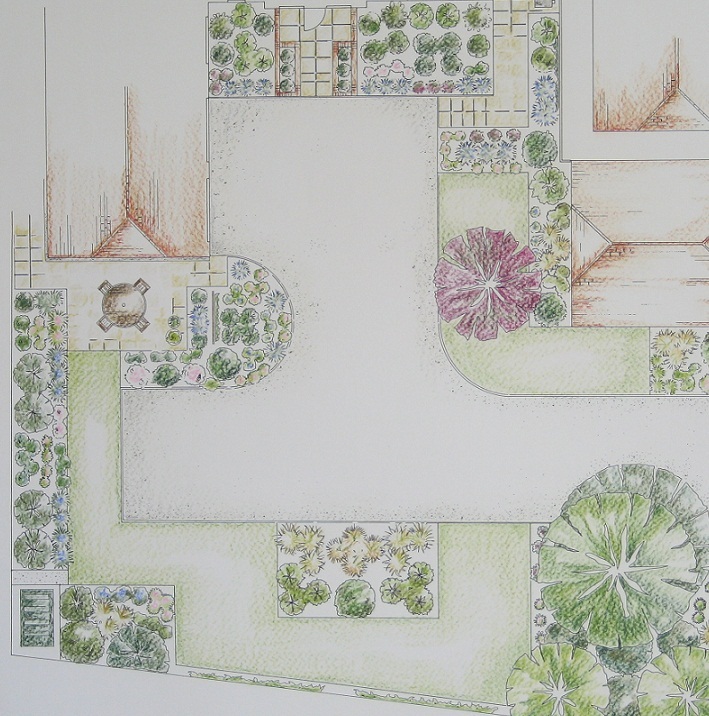 Stagsden , Bedfordshire, large front garden design.